The Hamlin Garland Society was formed at the American Literature Association conference in Baltimore on May 30, 1999. 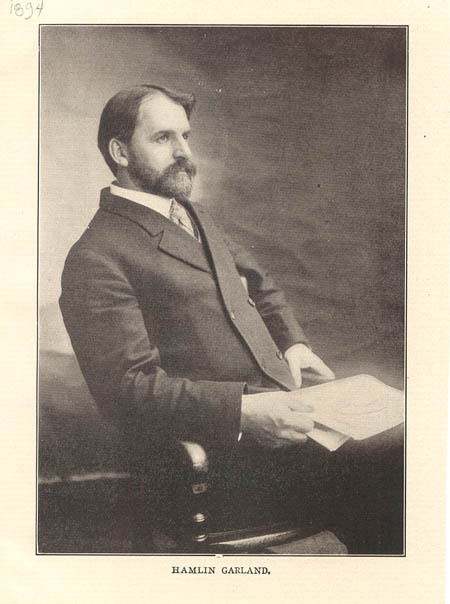 The Society exists to disseminate information about the life and works of American author Hamlin Garland (1860-1940), whose best-known books are Main-Travelled Roads (1891) and A Son of the Middle Border(1917). Prairie Visions, a new volume edited by Keith Newlin, reprints the first prose writings of Hamlin Garland, accompanied by 40 photographs by Jon Morris. This work illiterates the significance of place in Garland's imagination. In addition to a forward by Kurt Meyer and an introduction by Keith Newlin, the collection contains 6 sketches that Garland titled "Boy Life on the Prairie"--these early works first appeared in American Magazine (1888). The Significant Hamlin Garland gathers in one place ground-breaking essays written over a sixty-year period, beginning with essays based on Pizer's research as a graduate student in the Garland collection at the University of Southern California (USC). This volume should interest not only Garland scholars but also those wishing to read an edifying case study of literary scholarship.